For this week’s Geek Chic, I bring you an Etsy shop that blends some of my favorite fandoms. We have Harry Potter meets Buffy, the Vampire Slayer and Harry Potter meets Veronica Mars. 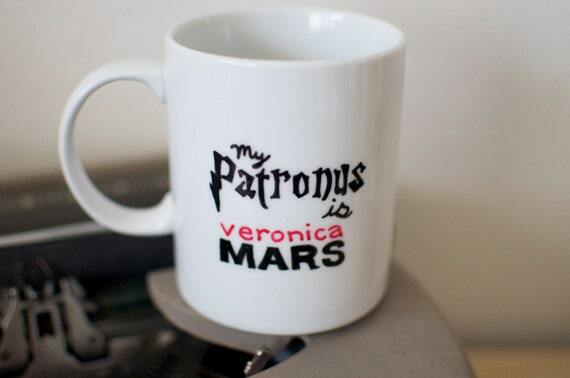 Favorite fandoms and coffee?? Yes, please! A Bird in the Hand is the creator behind the mug, and they have tons of cute mugs to satisfy everyone’s caffeine addiction. In addition to my faves, they have Doctor Who, Game of Thrones, Gilmore Girls, and more. And the mugs are pretty reasonable cost-wise. Most come in at $15 for single mugs. Did I mention they are hand-painted? ‘Cuz they are! They can also be customized so everyone is sure to get the fandoms they want! Honestly, I am pretty sure coffee tastes better when it comes out of a mug that represents your geekiness. Everyone should display their favorite fandoms when getting their caffeine fix. Want to see if they have your favorite fandoms? Click here to check out the Etsy shop. What do you think about these mugs? Which fandoms would you want on yours? This entry was posted in Dani, Geek Chic and tagged Buffy the Vampire Slayer, Dani, Etsy, Geek Chic, harry potter, veronica mars. Bookmark the permalink. This is so awesome. I want it. I want it so bad. 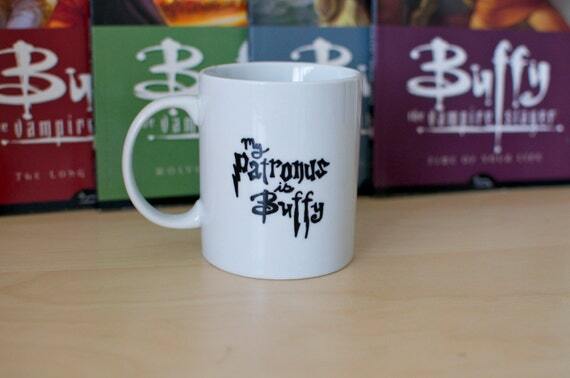 If you are a BTVS & HP fan then I URGE you to buy this mug. Awesome! They are pretty neat mugs! Cool! Will have to add to my “Want” list.